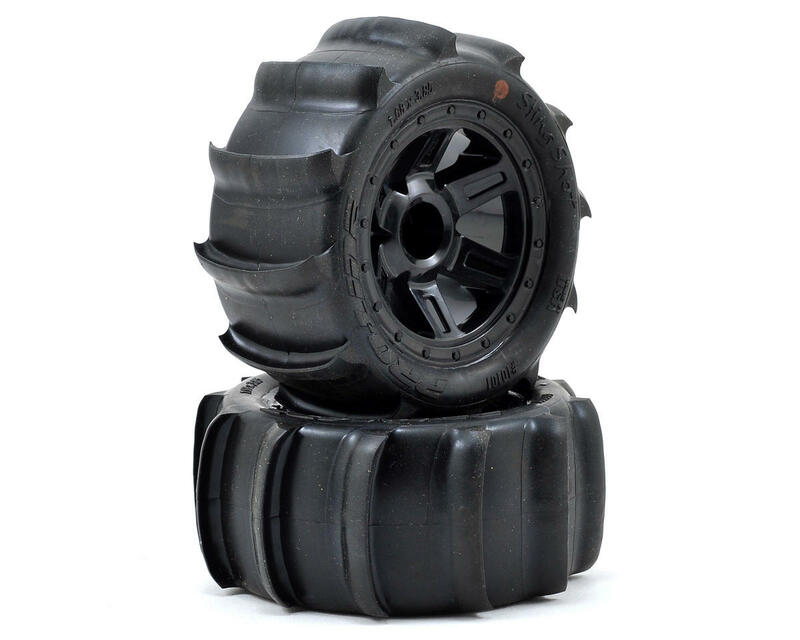 This is a pack of two Pro-Line Sling Shot Tires, Pre-Mounted on Black Desperado Wheels. The Sling Shot provides hours of fun in the sand, snow or even in the occasional mud pit. The 12 paddle design ensures maximum performance due to the true scoop design coupled with low roll outer sidewalls. 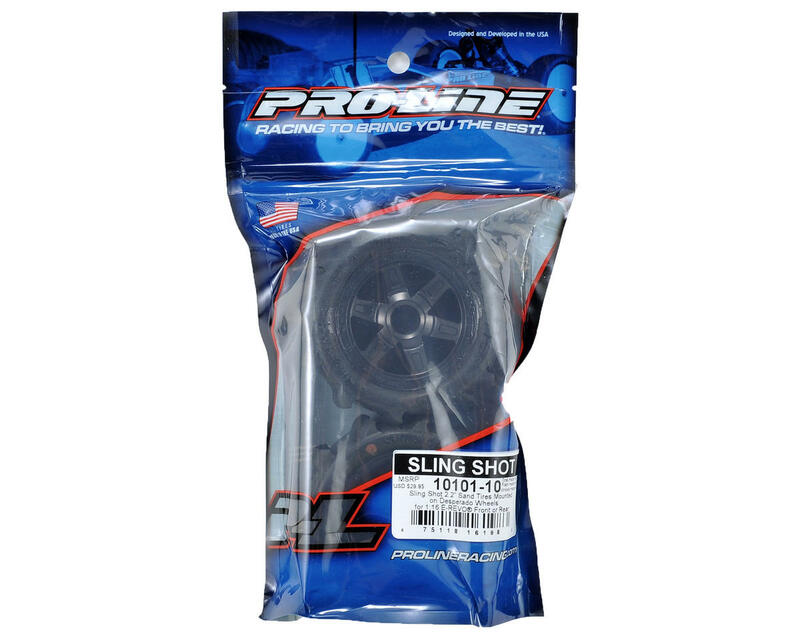 Plus, Pro-Line makes using high performance, long lasting fun tires easier than ever by offering the Sling Shot tires pre-mounted to the Desperado wheels! The wheel features a wider offset, that will make your truck more stable and handle bumps and jumps like a champion. Pro-Line’s 6-spoke Desperado wheel will make your truck the toughest looking one on the block. The wheel is a one-piece wheel made out of extremely durable nylon material and features a molded in bead-loc ring for an awesome scale look. This is a 12mm hex wheel and it will make your truck stand out from the rest!